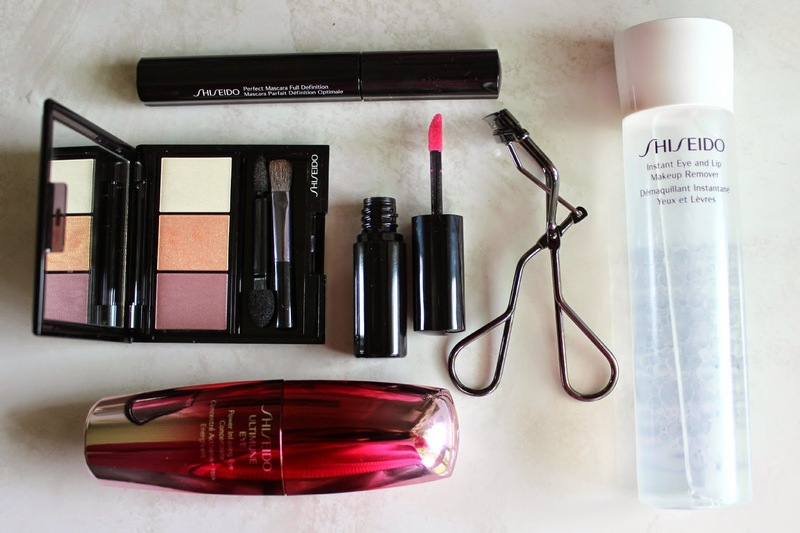 A few weeks ago, I was lucky enough to go to a Shiseido event hosted by Social Media Guru Dave Lackie. We received a VIP experience, similar to what industry exec's would have for new press launches. 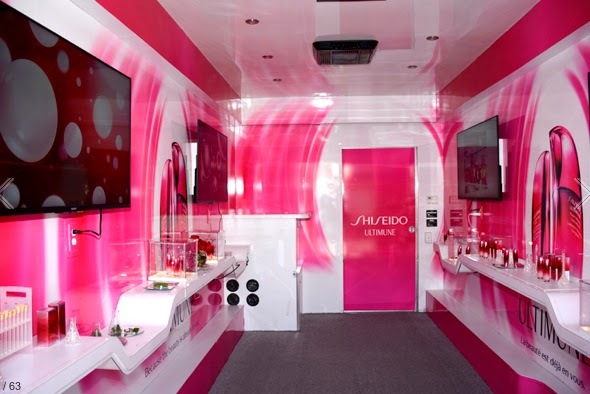 We attended the Shiseido mobile lab, where the President of Shiseido Canada, Elaine, explained the newest product that will hit shelves in June, the Ultimune Eye Cream. It's an addition to the already best selling line. 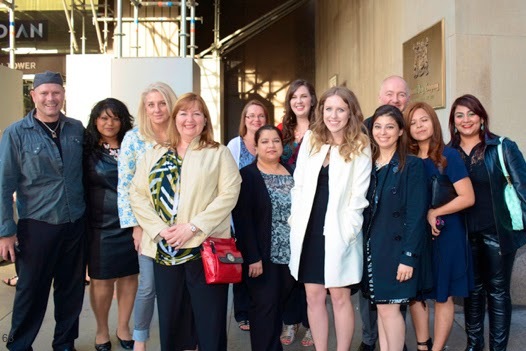 The event was held at the Acadian Loft in downtown Toronto, where an amazing three-course dinner was served. 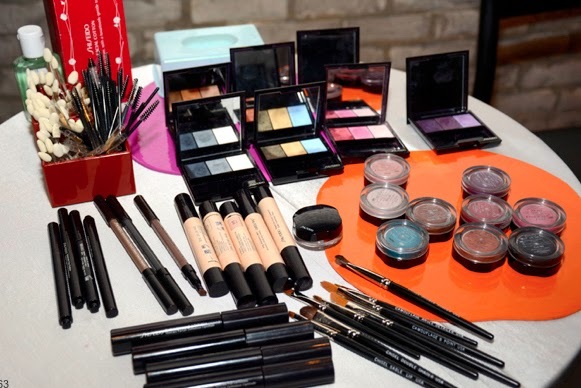 At the event, we got to talk to industry experts, and have our makeup professionally done. I was lucky enough to sit beside Elaine for dinner, and chatted about university and Sephora, and everything in between. Dave was a very gracious host, constantly making sure everyone was having a great time. And as if the dinner and event wasn't enough, we were all sent home with incredible gift bags. In it was a full size of the new Ultimune eye cream, an eye makeup remover, eye lash curlers, lacquer rouge lippie, mascara, and an eyeshadow palette. 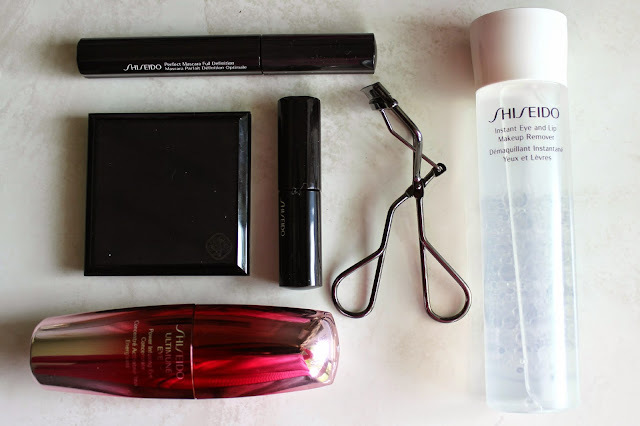 I've yet to try the mascara, as I already have 3 on the go, but I have briefly used everything else. I'll be brutally honest here: the eye makeup remover is horrible. It has a very oily consistency, leaves a gucky residue around the eye area, and requires a lot of scrubbing to get mascara off. But don't worry, it's positive from here on out. The curlers are really great. 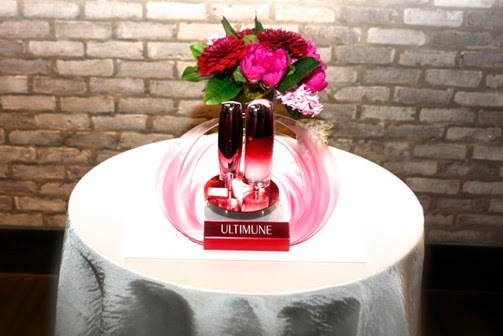 They are very similar to my coveted Shu Uemura ones, but open a tad bit wider. The lippie is a very bright shade (pk425), and is quite opaque in consistently. It has a bit of sheen to the finish, but applies very smoothly. The colour stays on for hours, but needs some reapplication after food and drink. The eyeshadow palette contains three very beautiful, unique colours. I don't know if I would necessarily wear them all together, as they all veer more on the shimmery side of things, but alone or used in conjunction with other shadows, they are really standouts (I've been loving the white as an under brow highlight, and the purply colour with my Maybelline colour tattoo in black orchid). Lastly is the soon to be released eye cream. I want to start off by saying that my Mom absolutely loves this product. She says it has a very cooling effect, and she's noticed an improvement in the fine lines and puffiness around her eye area. Personally, I like the cream, but I don't really notice any difference (but then again, I'm 22 with very few lines, and she's in her 50's with a few more problems). Overall, it was an amazing experience, getting spoiled like industry experts, and if you happen to live in or near one of the cities that Dave hosts an event, I highly recommend entering the contest.